Samsung has filed a trademark with the Intellectual Property Office for a new brand name for a line of smartphones. Dubbed Samsung Rize, the new product name is a dramatic departure from the Galaxy A, Galaxy J, Galaxy S, or Galaxy Note series. Almost all of these lines are fast approaching the end of single-figure numbers, with the Galaxy S10, Galaxy J10 and Galaxy Note 10 all scheduled to launch next year. It's unclear whether the manufacturer plans to take these brand names forward well into double-figures – something Apple avoided by switching to Roman numerals with the launch of the iPhone X in September last year. The recent trademark, filed by Fieldfisher LLP of London and unearthed by blog Let'sGoDigital, is the first proof that Samsung is looking into alternative brand names for its ever-growing portfolio. Since the application was made in the UK, it's safe to assume whichever device bears the Samsung Rize brand will get a European launch, if not a global one. The application is categorised as a Class 9, which means it will only apply to smartphones and mobile phones. So don't expect to see Samsung Rize branded televisions, smart speakers, or laptops for the time being. Whatever the South Korean company has in mind for its new Rize moniker, it's definitely related to the smartphone division. One of the most obvious candidates for the all-new Rize brand name is the so-called Galaxy X. 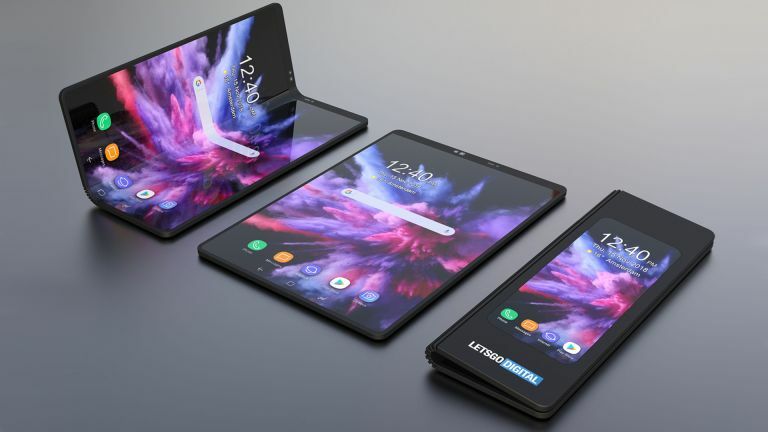 This feverishly-anticipated foldable handset will supposedly kickstart a new line of pliable phones from the manufacturer. As such, it seems like a good opportunity for Samsung to cut ties with previous product names. The folding smartphone, which will sport a 4.5-inch Cover Display and a 7.3-inch pliable OLED that unfurls like the pages of a paperback to offer more screen real estate when playing games, watching movies, or running apps side-by-side. Samsung offered a fleeting glimpse at the technology during its annual developer conference in San Francisco earlier this month. It also revealed the branding for the folding OLED display – Infinity Flex – but kept shtum about the name of the phone. With the new handset set to launch early next year, there's not long to wait before we find out whether the mysterious Samsung Rize branding makes the cut, or is destined for something else entirely. Stay tuned.